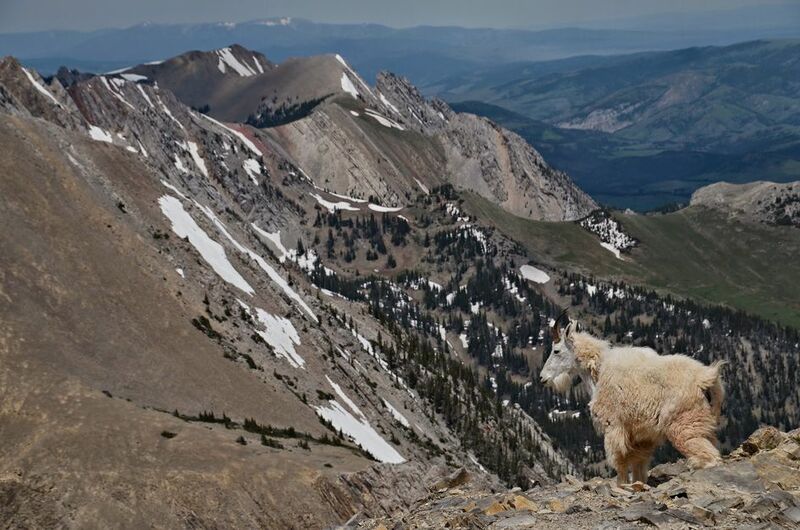 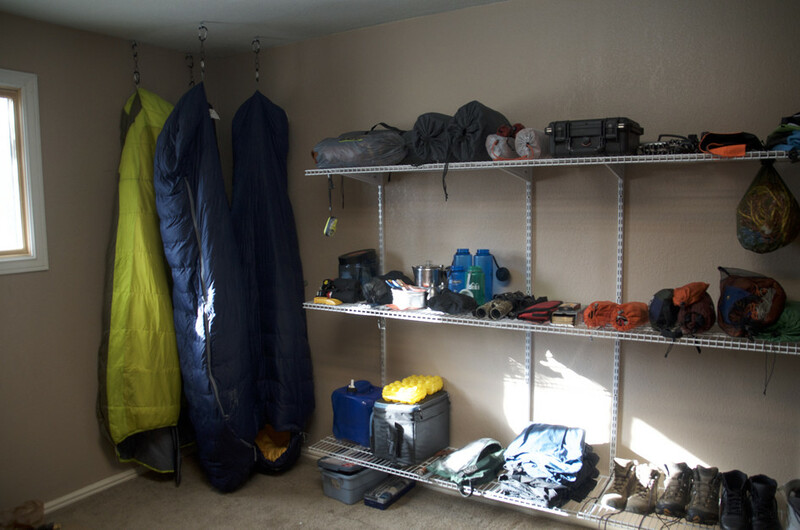 Getting your ever-growing piles of camping and outdoor gear organized can feel intimidating, but doing so will eliminate hours of prep time and result in more outdoor adventures. 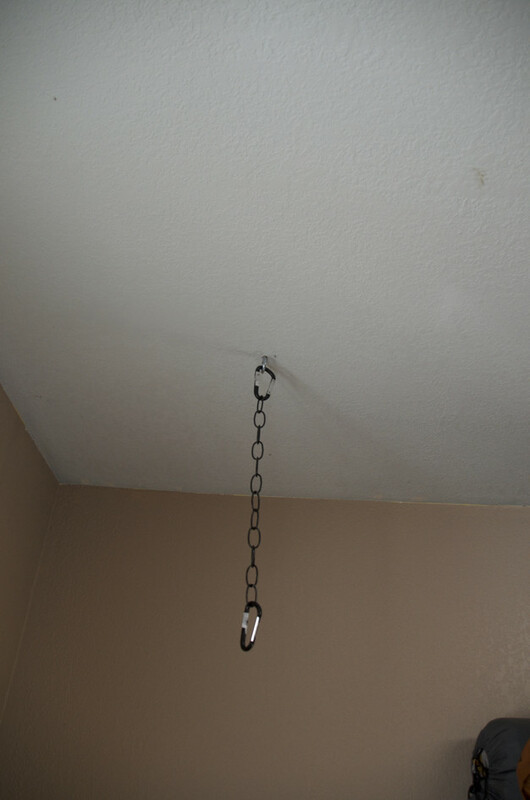 Here are a few tips and ideas to get you started. 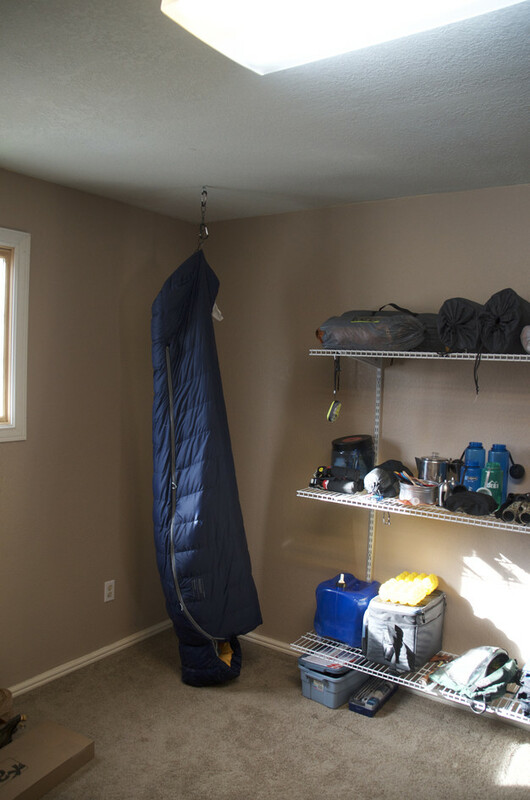 This step might take some digging, but try to gather all of the camping and outdoor gear you own and put it in one spot. 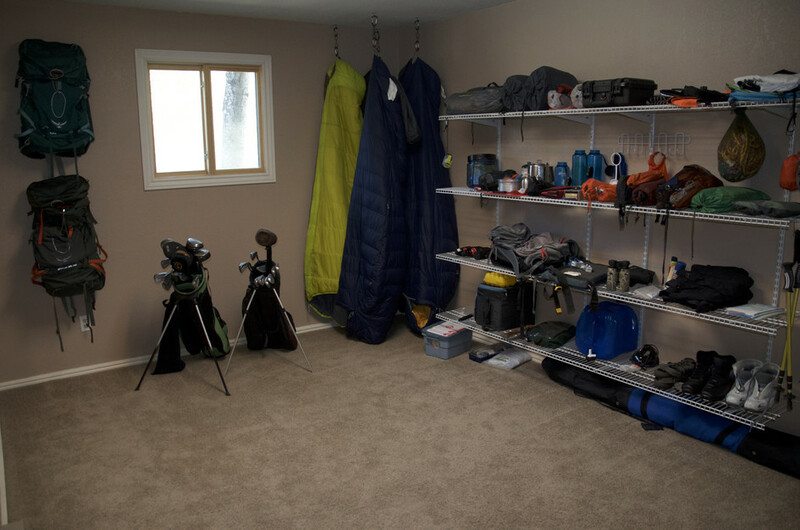 Once you have located everything you can short through it and throw or sell the things you no longer need or want. 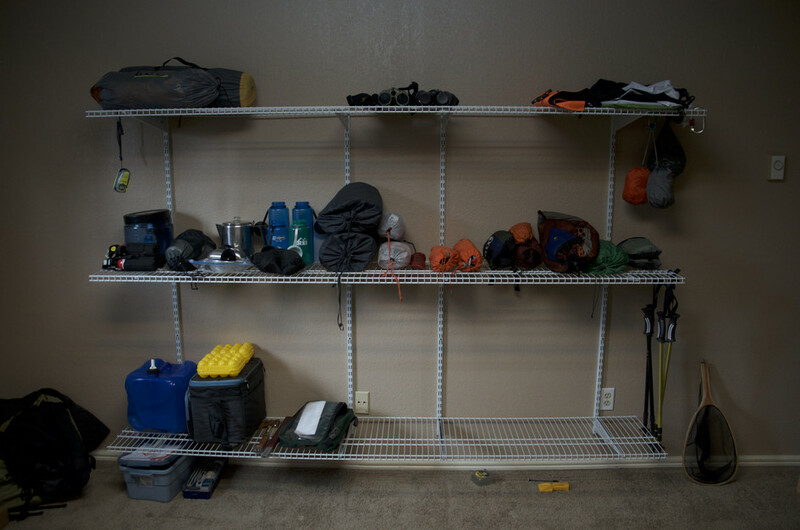 Ideally you will find a spot large enough to store all of your gear, so that you’re not searching for stuff in 10 different places. 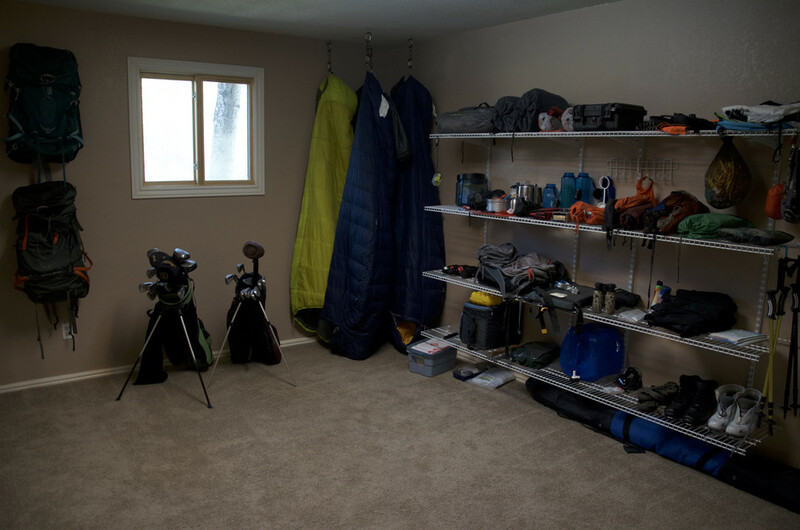 It can be hard to find dedicated space for your outdoor gear, but even a walk-in closet or small corner of the basement will do. 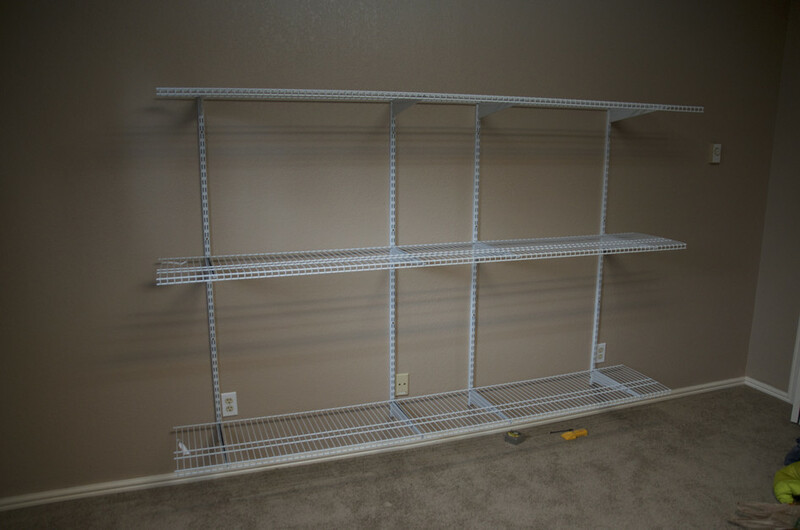 Closetmaid shelving can be purchased at most major hardware stores and will give you the flexibility to customize something to fit your specific space/needs. 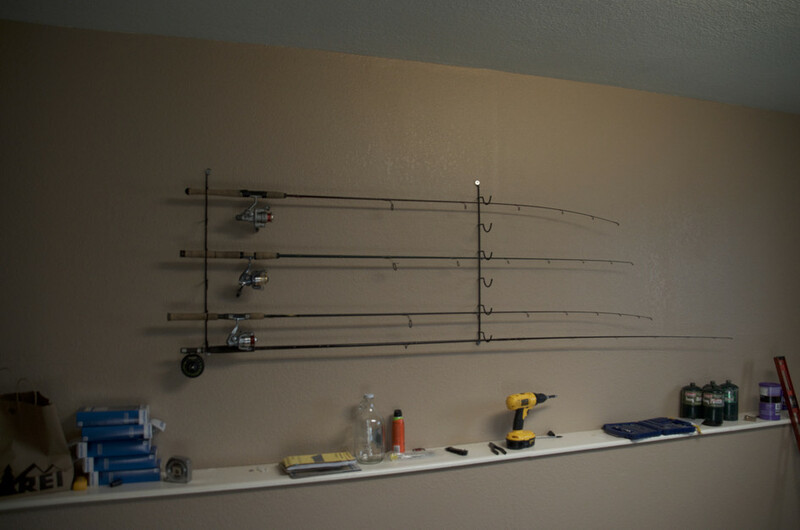 Group items into categories on the shelves. 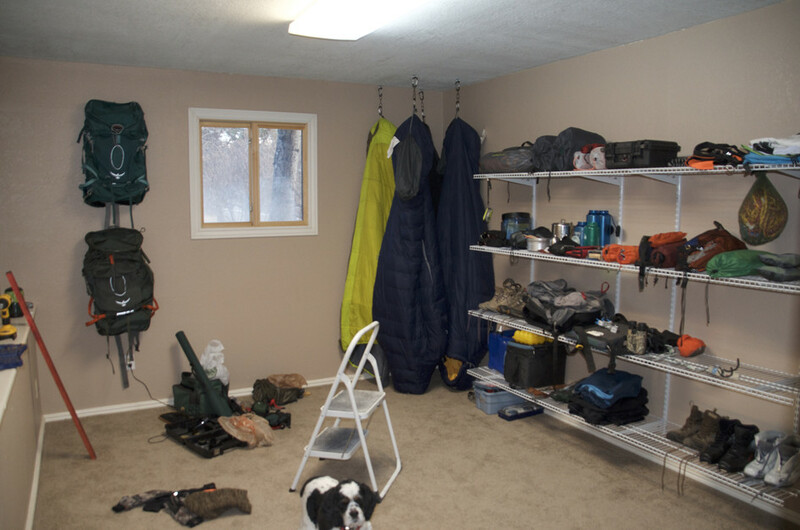 For example: put all of your cooking gear in one place, all of your water filtration gear in another place, etc. 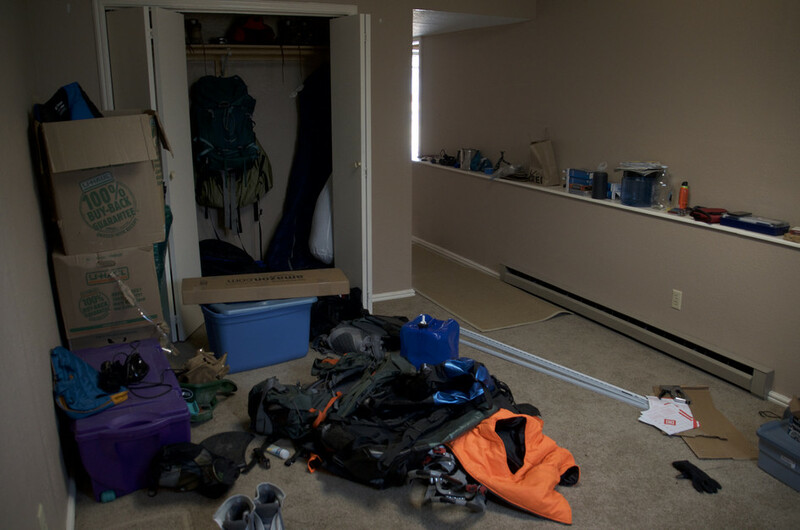 Once you have a designated place for each piece of gear you need to label that spot on the shelf so that when you’re unpacking you know exactly where to put that item without having to think about it. 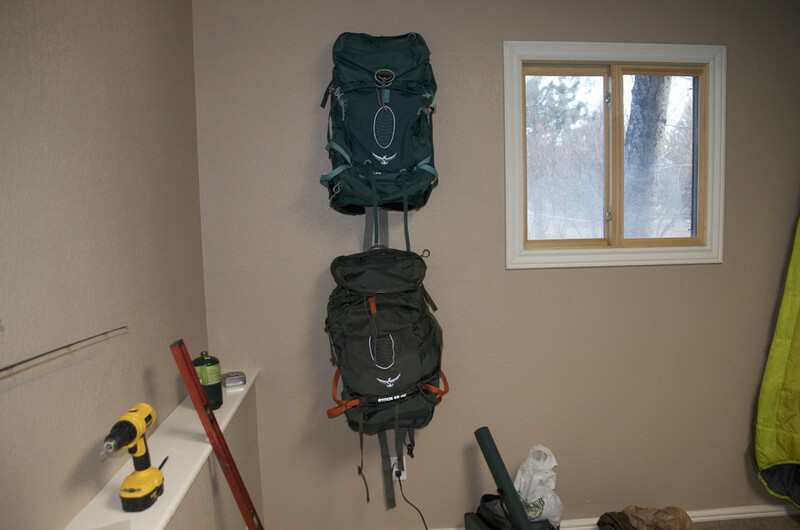 Putting some hooks on the walls and even the ceiling can be a great way to store some of your bigger gear items like backpacks and sleeping bags. 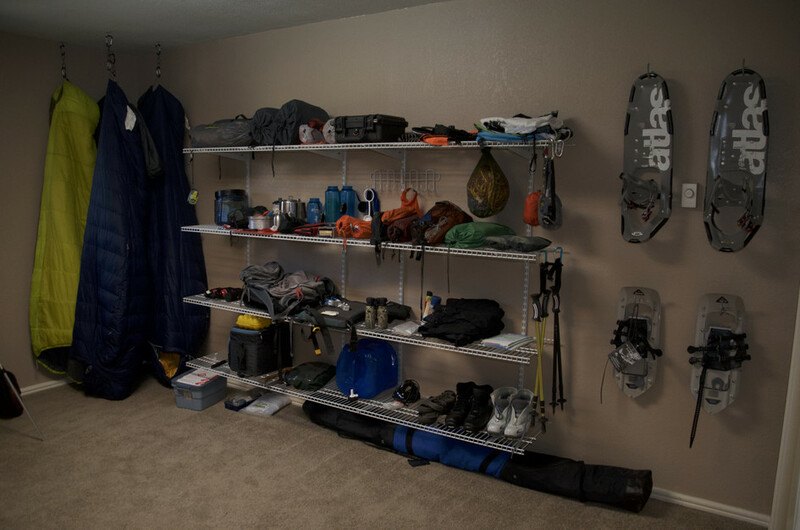 This also can end up looking more like gear decor than just functional storage.